Tell clients more about your business and get additional placement just below search results on the same page as your Featured Profiles. Simply answer two questions from our questionnaire to tell clients more about you and your business, how you got started, how long you've been gigging, and more. 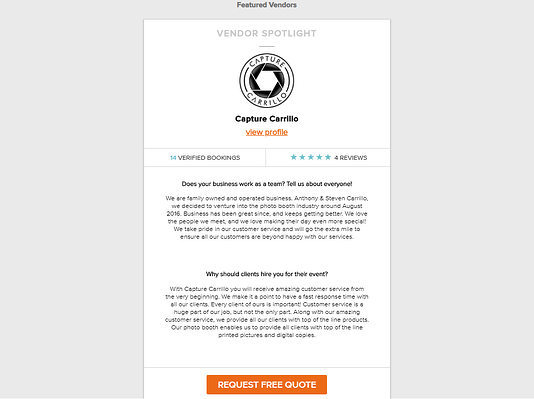 Please note: Vendor Spotlights are reviewed by our Account Services team before going live. 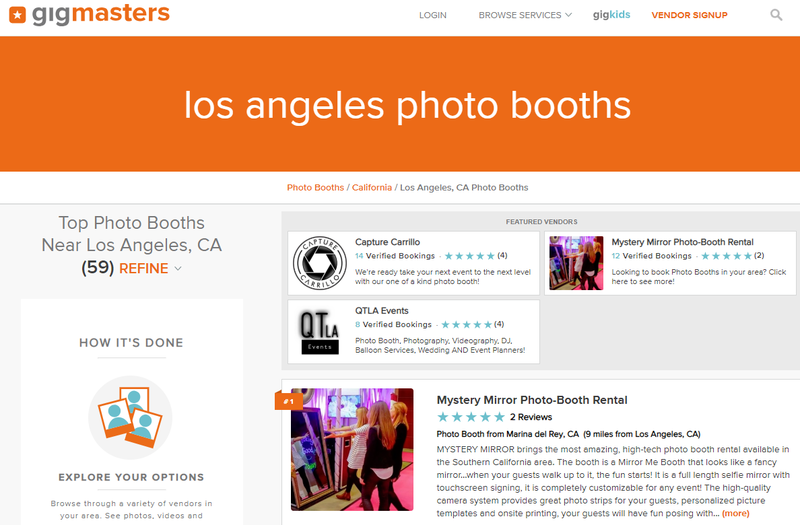 Featured Profiles now show up on select Lite member profiles to get you in front of even more prospective clients. Don't worry, we'll never put other members on your profile if you're an active Basic, Pro, or Gold member. For your convenience, you now have the option to opt into automatic renewal to assure that you don't lose your placement. Keep in mind, Featured Profiles are limited to 4 spots per search results page on a first come, first serve basis. If you have any questions or need any help, please feel free to reach out to us by email or phone at 866-342-9794 anytime!